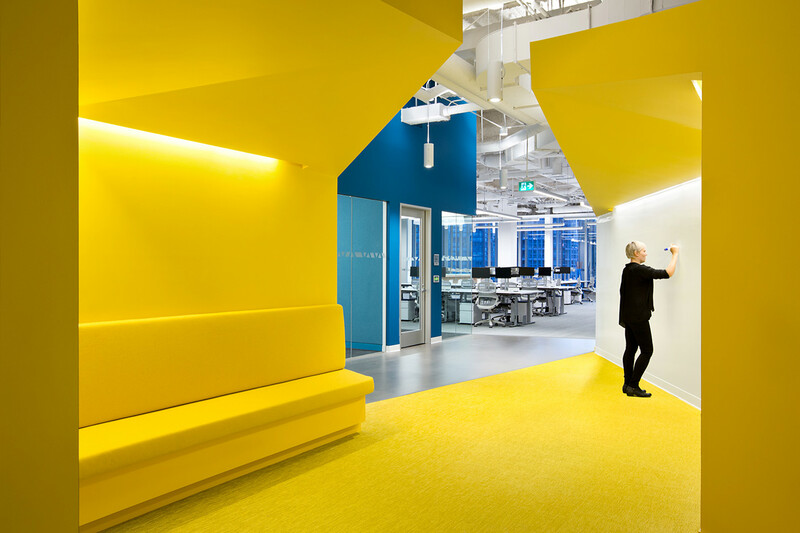 The ever-growing workforce of the global tech-giant, Microsoft, prompted the company to relocate and expand their Vancouver offices into a 142,000 square feet space into a newly renovated department store building in Downtown Vancouver. The remodel removed the solid façade, and reskinned the building with a new glass curtain wall, exposing the spectacular views of the city and the surrounding landscapes. 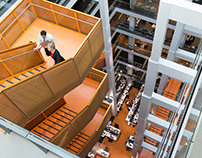 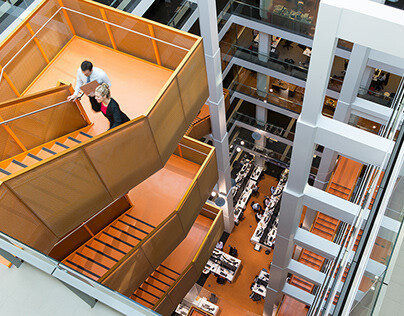 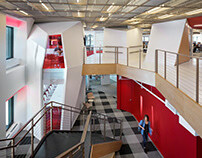 Occupying the top two floors of the building, the new open workplace takes full advantage of expansive views. 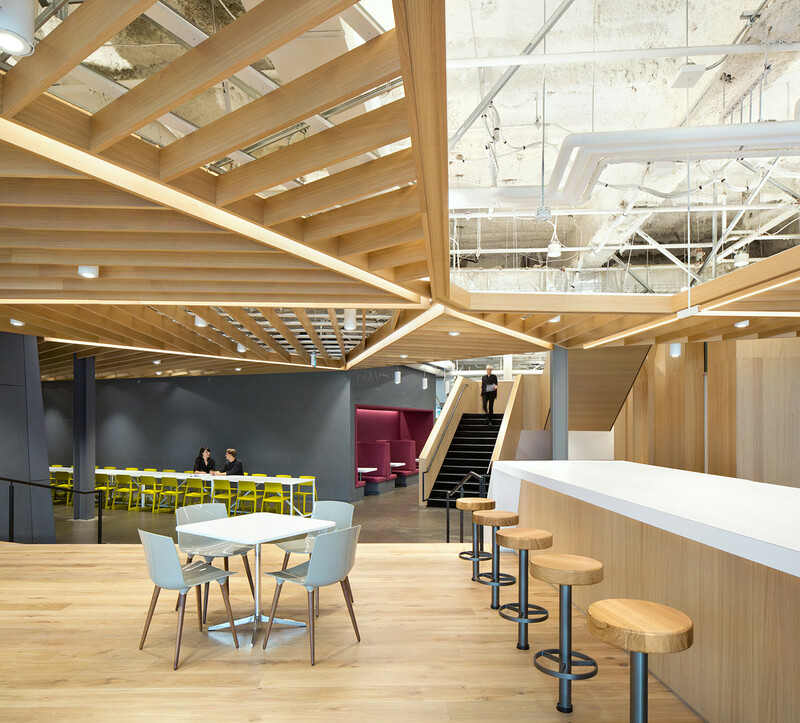 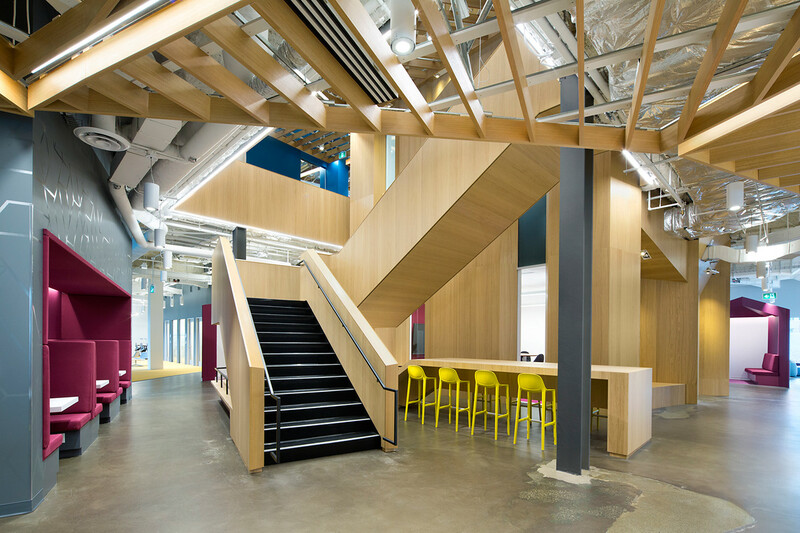 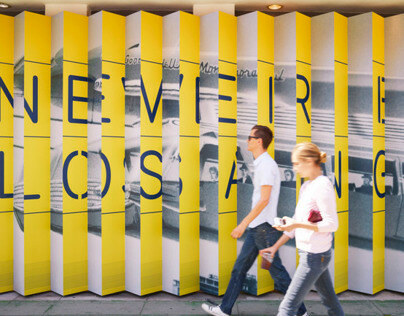 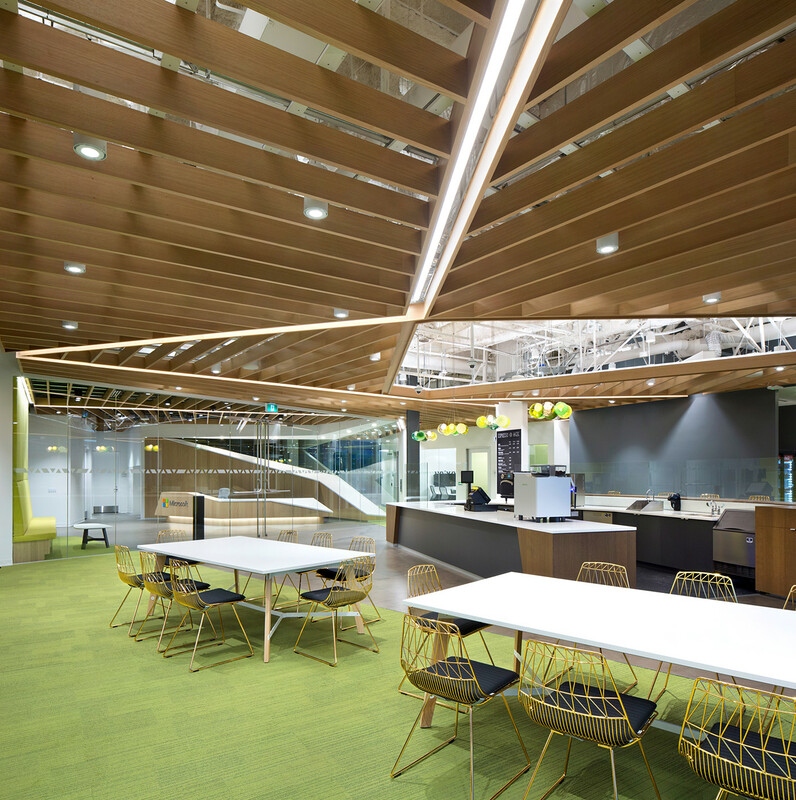 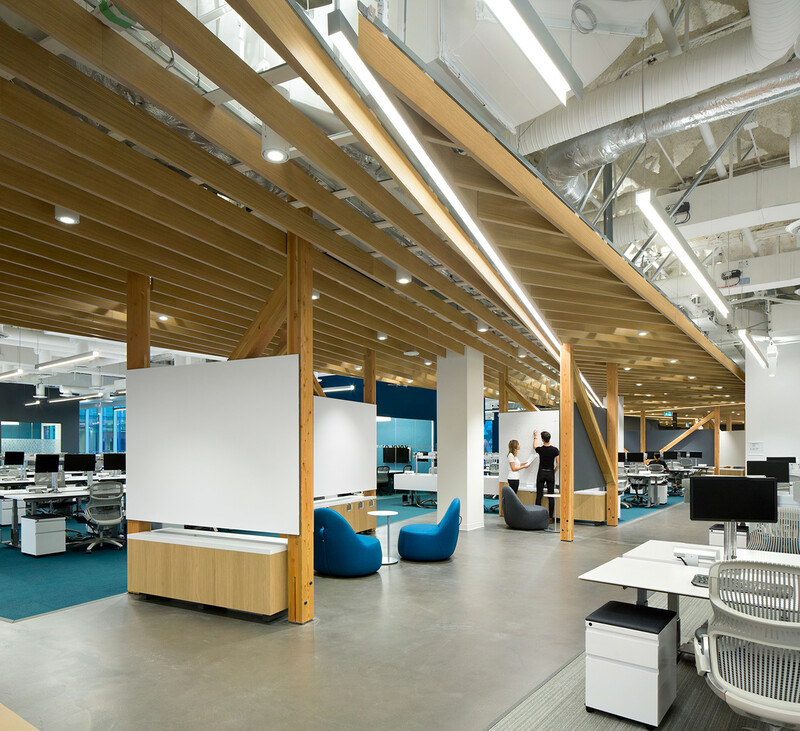 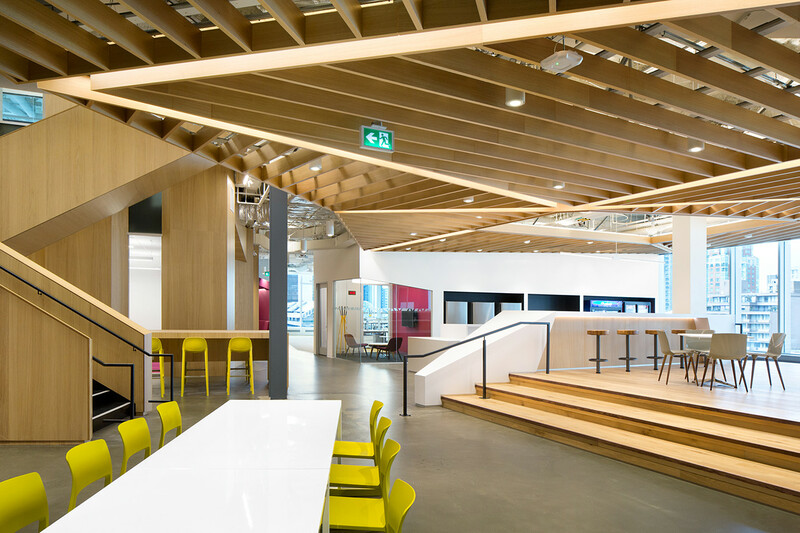 The design team drew upon the distinct natural setting of the company's Seattle headquarters as well as the natural landmarks of Canada's Lower Mainland to inform the architecture. 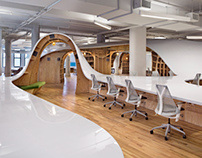 the airy, branch-like ceiling structures and the more grounded, boulder-like enclosures are a visual reference to canopies and roots, respectively, of the giant tree specimens unique to the area. 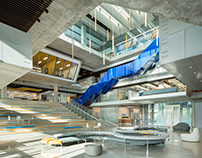 To capitalize on existing conditions, an existing void in the upper level's floor slab was utilized to introduce a communicating stair that spans and connects the two floors, as the trunk of a tree connects its disparate parts. 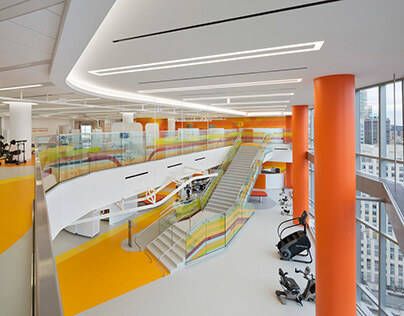 The expansive floor plates are defined by neighborhoods of open work benches woven together with circulation paths that purposefully expand to incorporate open and semi-enclosed collaboration "rooms." 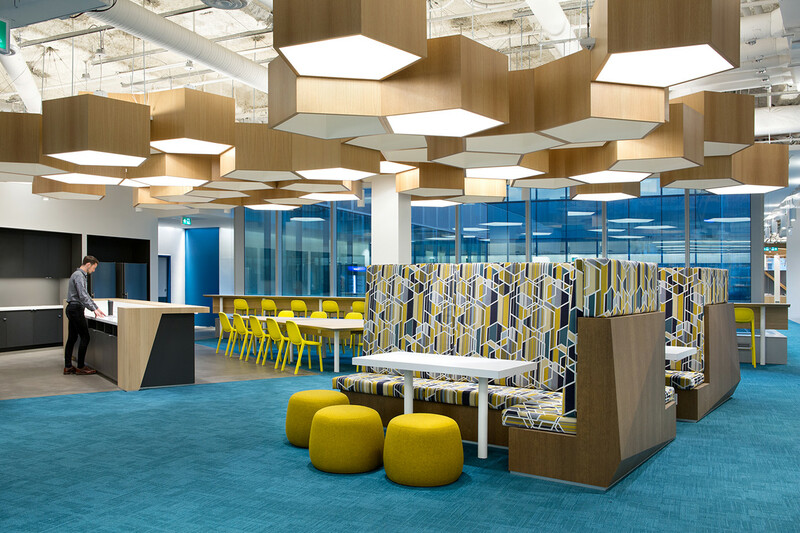 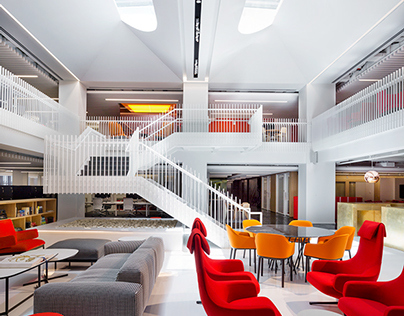 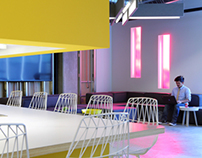 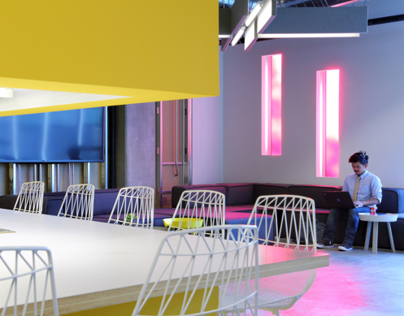 Moments of vibrant color punctuate these collaborative spaces as well as strategically located social gathering areas, such as the hubs for meeting and eating and multipurpose rooms. 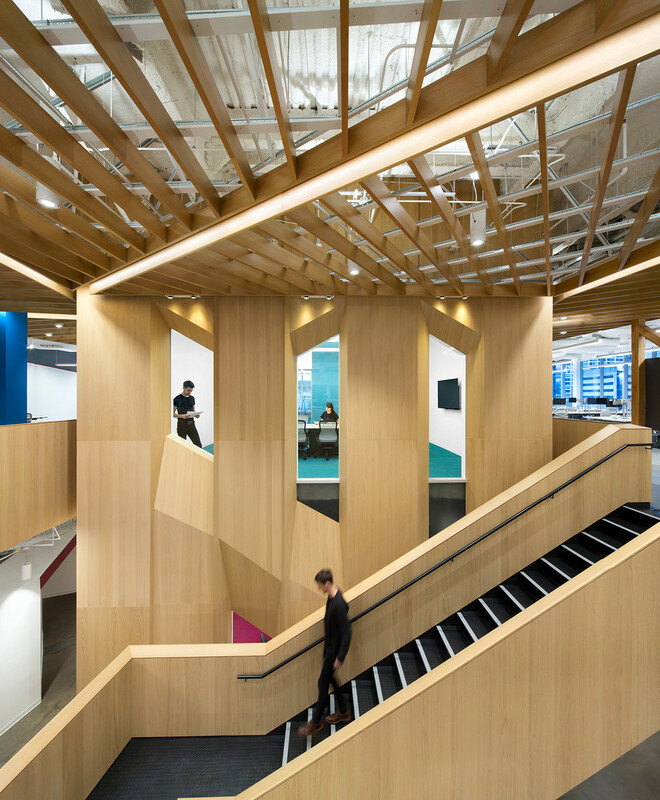 The new occupants have responded very postively to the design concept of simultaneously revealing the workings of the architecture and expressing an aspirational theme of working community within a naturalistic, wood-framed setting. 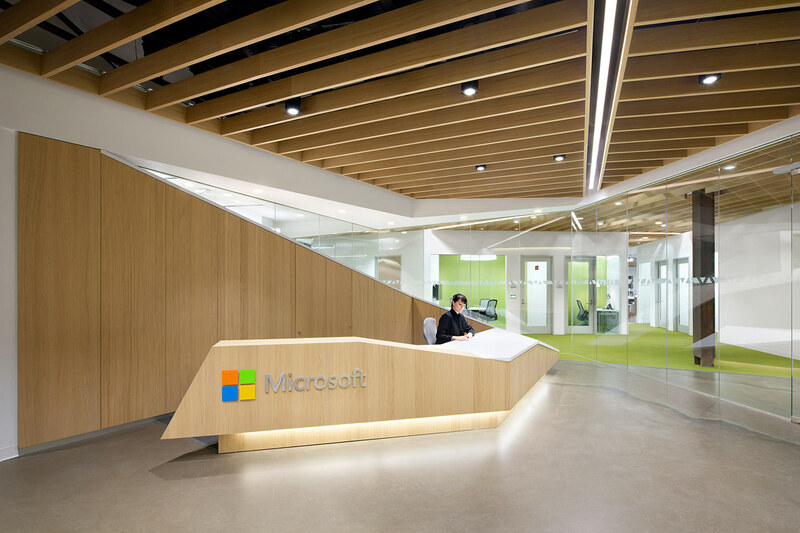 Offices for Microsoft Corporation in Vancouver, British Columbia, Canada.